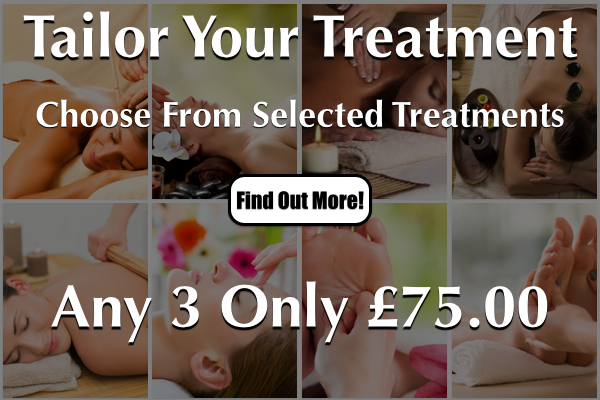 Laroma Therapies Offers The Best Tailor Your Treatment Package In Worthing! Our Tailor Your Treatment Package is the perfect opportunity to make the most of a variety of treatments, designed to regenerate you body and mind whilst giving you some quality time. You can choose your favourite treatments and/or take the opportunity to try something new! We offer two Tailor Your Treatment Packages, any 2 selected treatments for just £50.00 or any 3 selected treatments for only £75.00! Modern methods of cleaning the inner ear (such as the use of cotton buds) can in fact push wax further into the ear which can cause a number of problems. Hopi Ear Candles are a classic clearance therapy which can benefit many problems around the ear and head area. The lymph system and metabolism are improved by this pleasant, completely painless method of local heat application and a number of psychological and spiritual benefits have also been associated with the treatment. Indian Head Massage is a technique of manipulating soft tissues in the shoulders and scalp. It stimulates and improves scalp circulation which helps to promote texture combined with strength and growth of hair, it relaxes the scalp and tones up subcutaneous muscles thus helping to relieve headaches, eye strain and to focus concentration. Swedish massage can help with a many problems, from aches, pains and stiffness to poor flexibility and circulation. Warm Bamboo Massage is a unique new therapy that relaxes tight muscles – instantly and painlessly, the results go deeper and last longer! Let us take all the stress, weight & heaviness out of your legs leaving you feeling relaxed and light on your feet once again! All treatments must be booked to be taken during a single appointment. Sign up to a membership at Laroma and you will save money on therapy! Pay either £50 per month and receive any two 25 minute treatments from our tailor your treatment selection OR pay £99 per month and receive any four 25 minute treatments from our tailor your treatment selection. To book your appointment for your Tailored Treatment Package, call Laroma on 01903 201104. To book your appointment for your Treatment Package in Worthing, call Laroma on 01903 201104 or email us using the form below.